The DRC has worked with its partners to develop both reach-specific and basin-wide restoration strategies. The DRC, the Deschutes Land Trust, the Upper Deschutes Watershed Council and the Crooked River Watershed Council work together as the Deschutes Partnership to develop a restoration strategy for Whychus Creek that builds on the strengths of each of these organizations and meets fish habitat, riparian habitat, and water quality needs in Whychus Creek. The Whychus Creek strategy developed by the DRC and its partners serves as a model for similar reach-specific strategies to be developed across the Basin. On a larger scale, the DRC is working as a part of the Deschutes Basin Study Work Group (BSWG) to plan for long-term water resource management in the Deschutes Basin. ​BSWG believes that cooperation and voluntary participation will allow agricultural, municipal, and ecological needs to be met in the Basin. 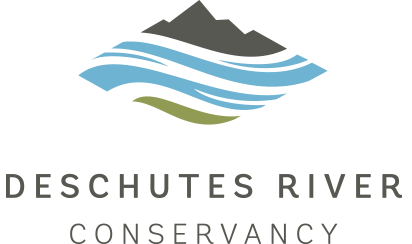 Between 1998 and 2005, before the DRC focused its technical expertise towards streamflow restoration, the DRC was involved in almost 50 restoration projects in the Crooked River, Deschutes River, Whychus Creek, and Metolius River watersheds. Projects funded by the DRC ranged from tailwater wetlands to riparian fencing. These diverse projects focused on improving water quality in the Deschutes Basin. Across the Deschutes Basin, DRC funded projects have restored almost 100 miles of stream, created 13 acres of new wetlands, and planted almost 150,000 native riparian plants. The DRC now works closely with local partners to develop comprehensive restoration plans for priority reaches in the Deschutes Basin, and to support partner capacity to implement habitat restoration and water quality projects alongside the DRC’s streamflow restoration programs. The DRC's mission is to restore streamflow and improve water quality in the Deschutes Basin. We understand that we need to monitor both streamflow and water quality to determine baseline conditions, continue to refine restoration targets and evaluate progress towards our goals. The DRC works closely with the Upper Deschutes Watershed Council’s monitoring program to ensure the DRC is meeting its restoration goals. As streamflow restoration is implemented in the Crooked River, DRC will work with the Crooked River Watershed Council to monitor water quality in the Crooked River watershed.